Repair and/or optional color change of step. 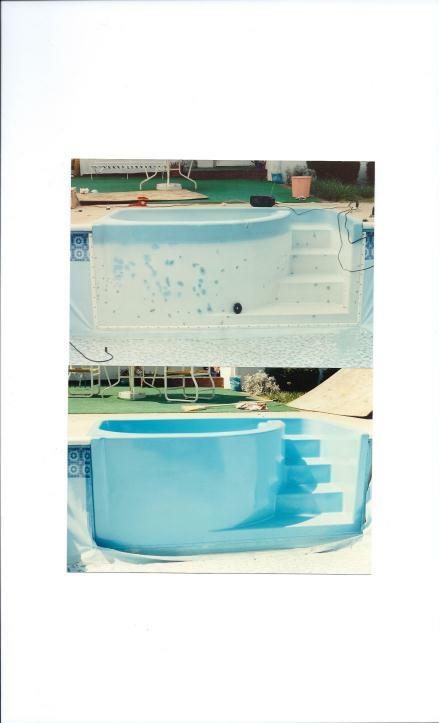 Pool Step and Spa combination before and after repairs and resurfacing. 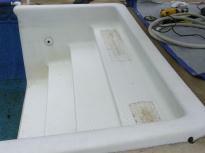 All blisters are removed and filled prior to coatings. Most cracks in step treads occur because support under them has settled or washed away. I fill the gaps under the step to make the step more solid! 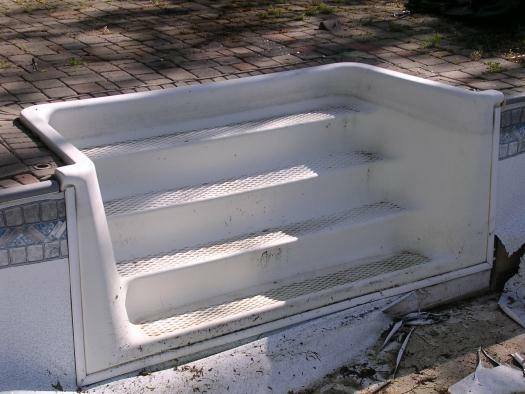 Holes and cracks are filled with special plastics and covered with fiberglass to reinforce the area. 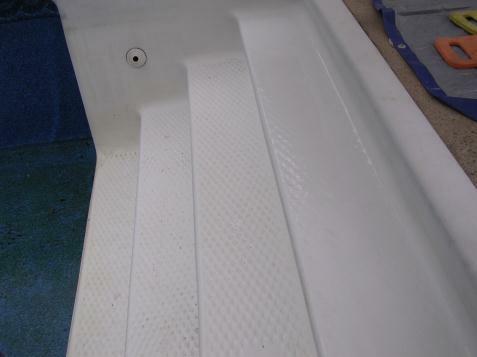 Underwater coatings are then applied to blend the repair with the rest of the step. 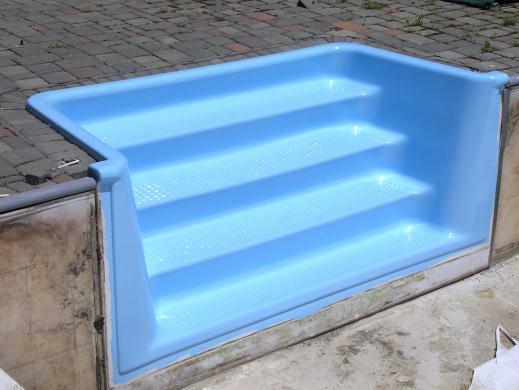 All step types can be repaired whether ABS, Gelcoat, Fiberglass, concrete or gunzite. I can evaluate the damage and restore your step or spa saving you time, aggravation and lots of money compared to the cost of replacement. 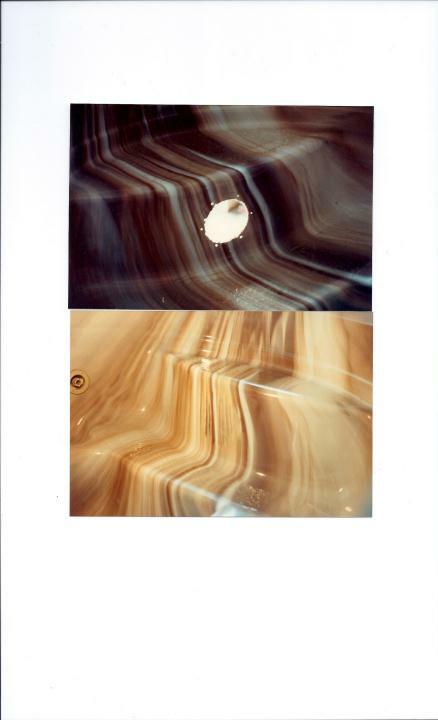 Hole in Spa (where light was no longer wanted) filled in and resurfaced to blend with marbelized finish.